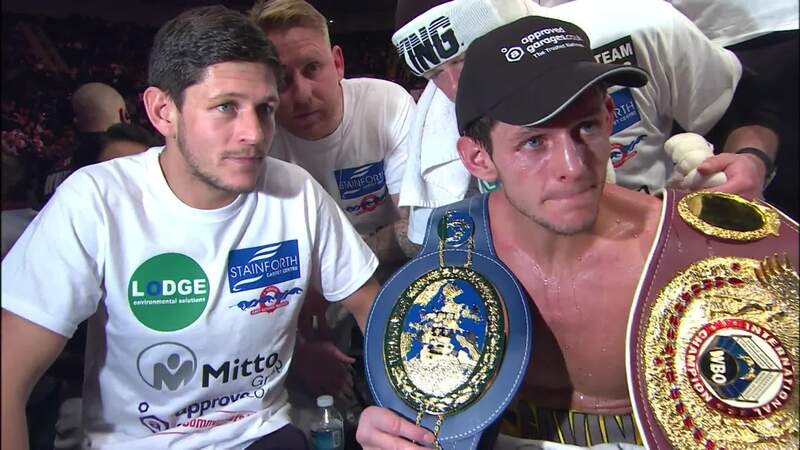 Gavin McDonnell has vowed to seize his moment of history as he takes on Rey Vargas for the WBC World Super-Bantamweight title at the Hull Ice Arena on Saturday night, live on Sky Sports. McDonnell has fond memories of the venue he faces his destiny on Saturday as three years ago today McDonnell stopped Leigh Wood there to land the British title – the first step on his remarkable journey to Saturday nights World title shot. The Doncaster ace can create British boxing history by joining his twin brother Jamie as a World ruler, and the 30 year old wants to repay all his supporters and team for their faith. “It is real now,” said McDonnell. “It seems to have taken forever to come but all of a sudden it is here. It is a nice feeling that after all the hard work we have put in, now is show time. “I have put a lot of years hard work in, made a lot of sacrifices – and not just me, my family have all gone through it just for me. Everything has been put on hold for me to go out there and achieve my dream. We have trained so hard and it is here now, it is the dream and I plan on grabbing it with both hands and moving on and going from where I am to the very top. “The fight is here because Eddie and Matchroom have backed me for this fight. I do want to go abroad and fight but for my first World title, and such a tough fight, we wanted it here. My team has backed me more than his has backed him so they can say what they want – they can say it is cowardly or whatever they want. “We know if we went over there we would have to knock them out so we want it in my favour over here and Eddie and Matchroom have given me the platform to go out there and achieve my dream. It isn’t cowardly – my team have backed me, they have supported me and they have given me this opportunity to win this World title.